Sometimes going the classic route is the best option. 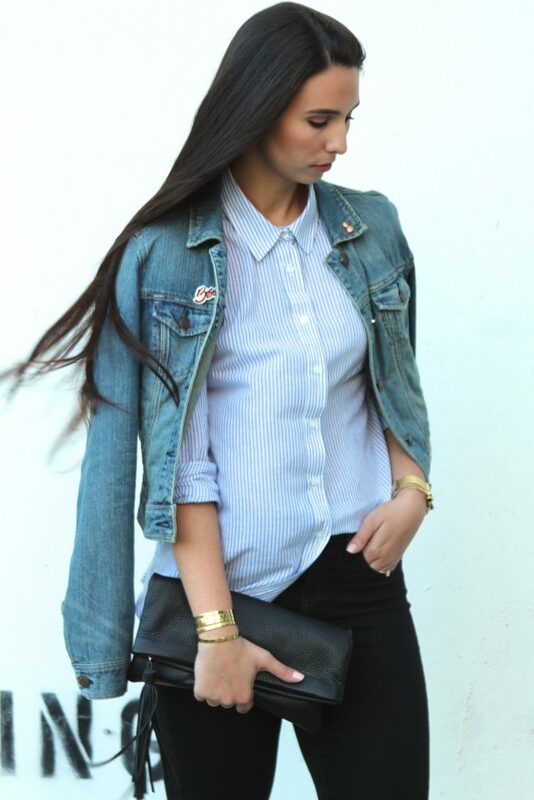 Take this classic striped button down by Evy’s Tree. It is perfect with a pair of jeans, a pencil skirt, or even a pair of black shorts. The options are endless and this top can be dressed up or down. 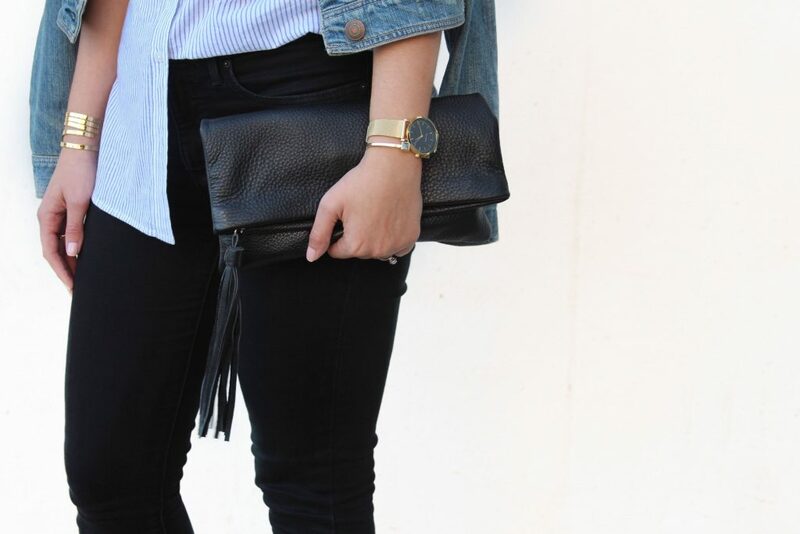 I decided to go with a more casual vibe and pair my button down with my favorite Levi’s black denim, my new Latigo black suede booties and topped it off by draping my denim jacket on top. I actually wore this look to my birthday dinner with my family. 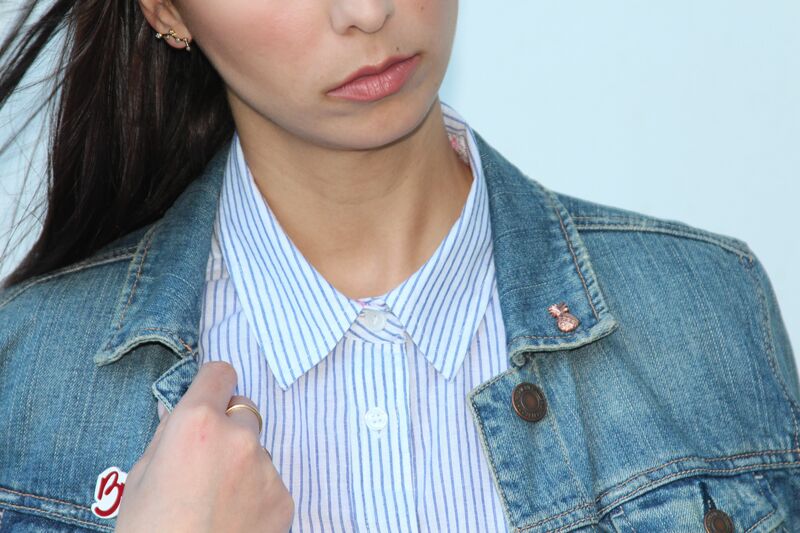 I loved that I could button the collar up all the way for a more sophisticated look. 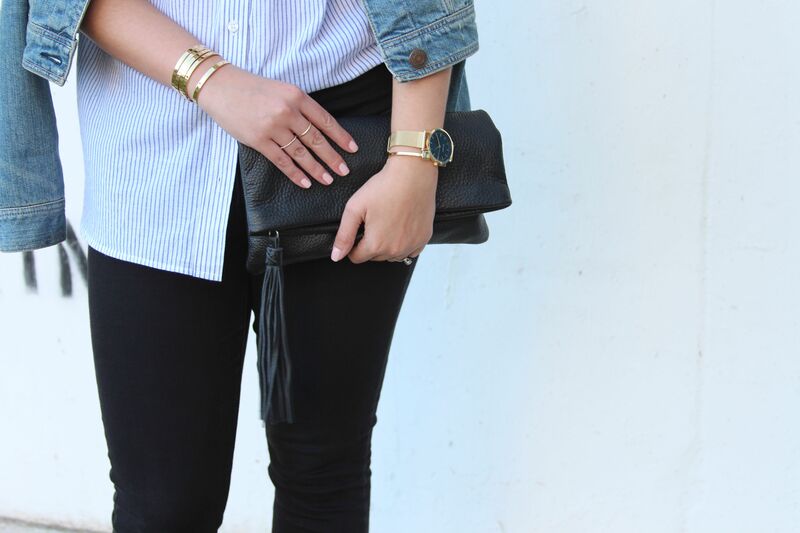 In this post, I am wearing a few new favorites of mine. To start, I am loving my fold over black clutch from Positive Elements. 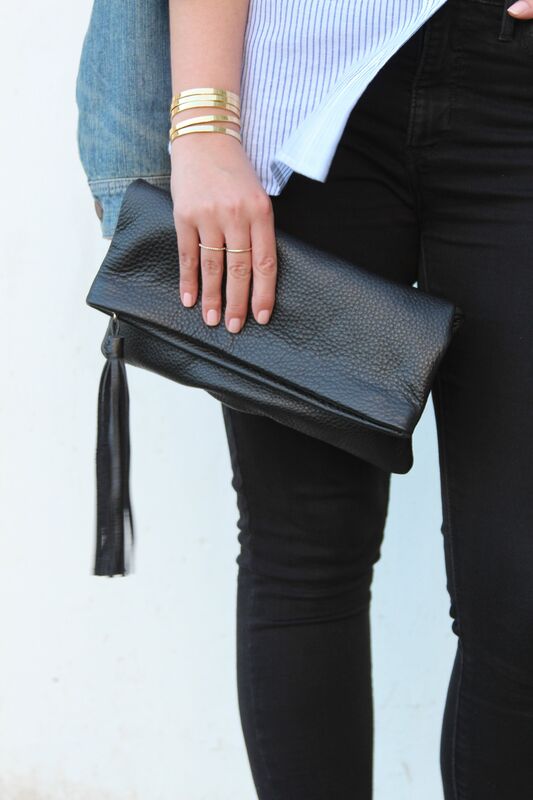 The leather is super soft, it hold a good amount of stuff that I carry around, and bonus, it has a tassel! 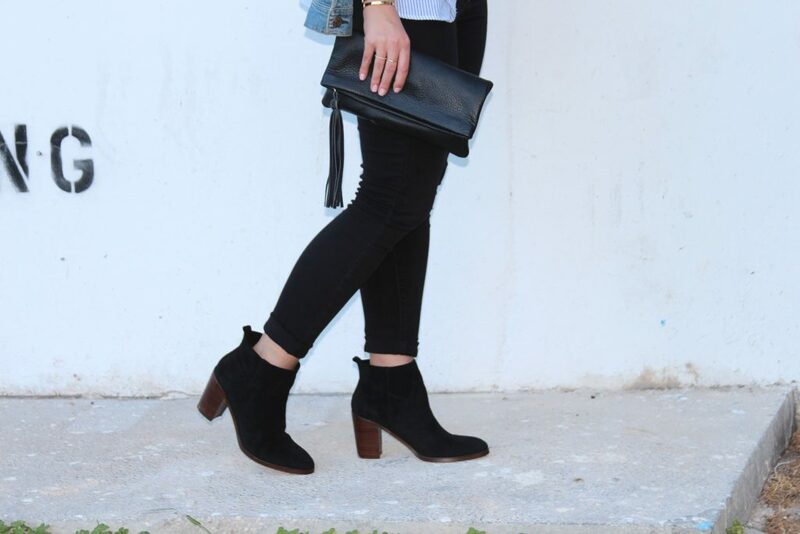 The second favorite of mine, that I mentioned above are my Latigo black suede booties. 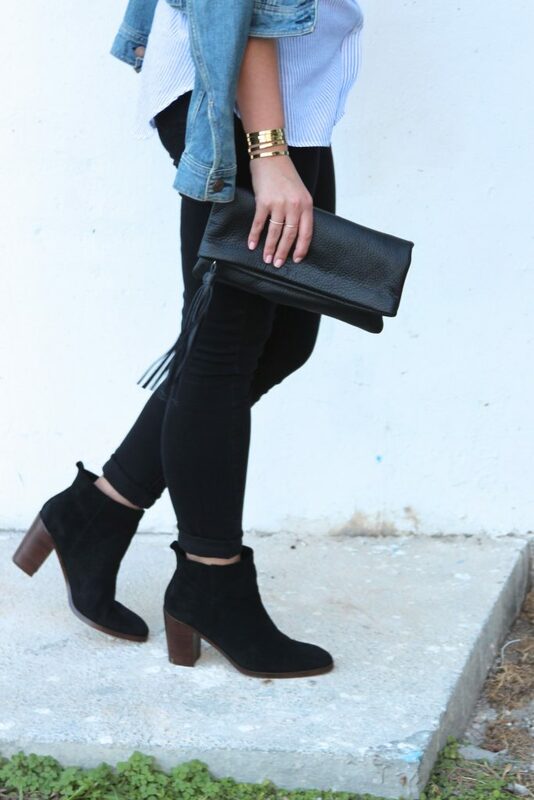 I have been in the market for black booties for quite some time now. 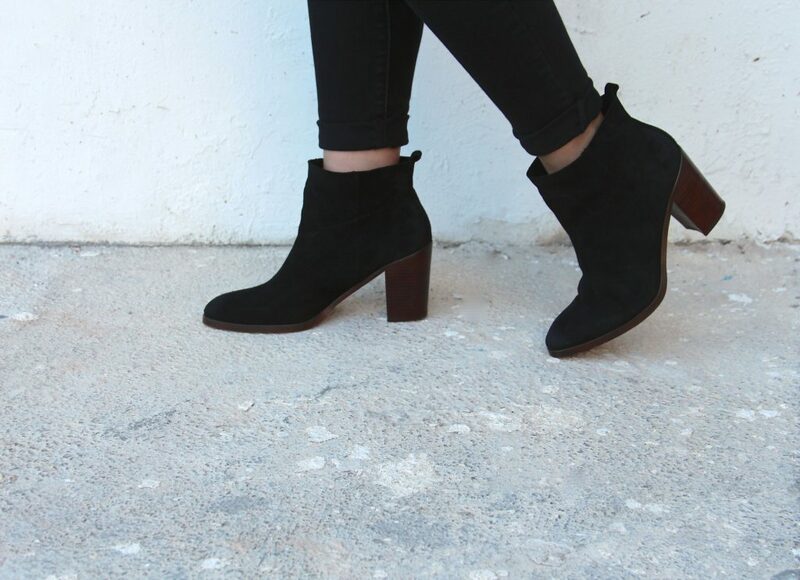 When I discovered these suede ones, I fell in love. To say I have been wearing them often would be an understatement. I have been trying to wear them every other day to work because they are so comfortable, but I don’t want my coworkers to start noticing how much I am wearing them. So I have opted for every other day. They are extremely comfortable, very versatile and have the perfect heel height. Things are getting quite hectic with the wedding quickly approaching. Only three weeks left. OMG! I can’t believe it. Anyways, I hope you all have a wonderful weekend.